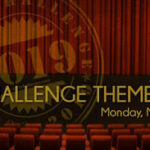 Welcome to Day 13 and Week 3 of the Blogging from A-Z Challenge. 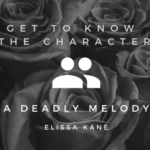 Just a quick introduction: my name is Elissa Kane, and I am an indie author working on my first mystery novel, A Deadly Melody, which is book 1 of the Fallen Rockstar series. Now, onto the letter M. . .
I’ve loved Shirley Manson and Garbage since I first heard them back in the ’90s while attending The University of Florida. “Only Happy When It Rains” was on a constant loop throughout my angsty college days. Shirley began singing in her teens in Scotland as a background singer and keyboardist for the band Goodbye Mr Mackenzie. She was later approached by her band’s record label and recorded an album with her band under the name, Angelfish. After seeing Shirley on MTV’s 120 Minutes, Garbage invited Shirley to audition. She became the lead singer and eventually co-wrote and co-produced their self-titled album. Over the past 20+ years , Shirley and Garbage have released six studio albums, received twenty-seven award nominations including two Grammy Award nominations, won eight awards, and have sold over 17 million albums worldwide. 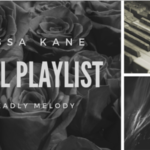 You will mostly find songs from Garbage’s ’90s Alternative Rock sound on A Deadly Melody playlist. “Only Happy When It Rains”, Stupid Girl” “I Think I’m Paranoid”, and “When I Grow Up” can all be found on the playlist. But it is their more recent hit, “Control” that really influences the story and Elle.